Our Brockport Physical Therapy clinic is conveniently located in front of Brookdale Senior Living, down the same driveway. We are located just east of Strong West Hospital. 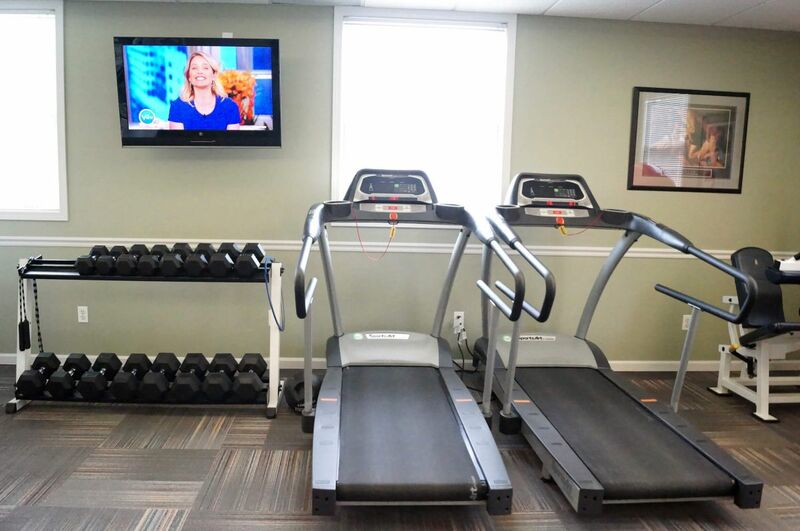 The Brockport Clinic is equipped with an extensive work out facility for our fitness patients. 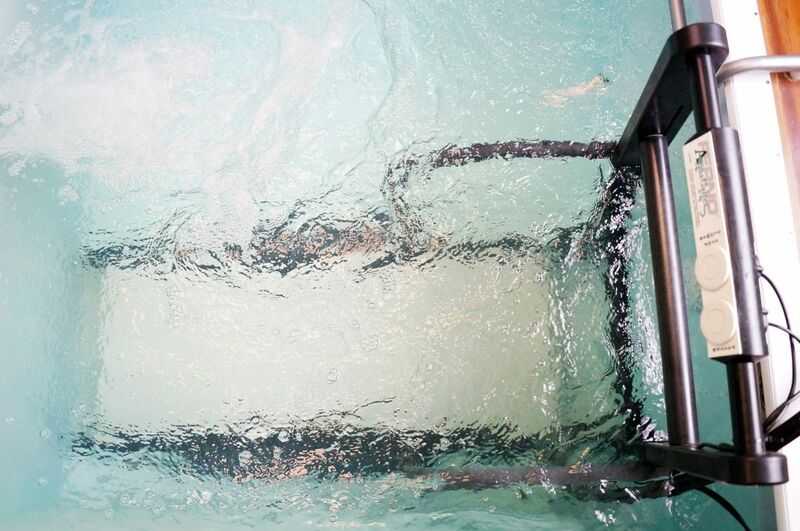 Brockport’s facility features an underwater treadmill and deep water well in our state of the art Ferno-Designed aquatic therapy pool. 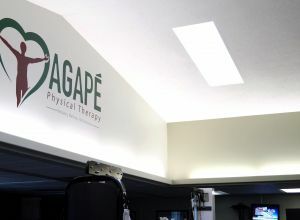 At Agapé Physical Therapy, you can expect a team of compassionate, considerate and confident caregivers whos main desire is to help you reach your goals of pain free movement and improved performance. My name is Adam Nowak. I graduated from The College at Brockport in December of 2013 with a Bachelor of Science in Business Administration. I am currently a business manager with Agape as I prepare for my future with the company. My name is Gregory Van Gorden, PT, DPT. I grew up in Vestal, NY and went to Nazareth College undergrad and graduate work. After graduating in 2015 with my Doctorate of Phyiscal Therapy I began working for Agape. I have had the pleasure of working in both our Gates and Chili locations but have recently been promoted to the Assistant Clinic Coordinator Brockport clinic. I am excited to begin serving the Brockport community! My name is Andrew, but feel free to call me AJ. I graduated from D'Youville College with my clinical Doctorate in Physical Therapy, and the University at Buffalo with my Bachelor degree in Exercise Science. I have a passion for orthopedic rehabilitation as well as sports performance training. The best part of my job is getting people back to their prior level of function, whether that be back on the golf course or back to work. Feel free to contact me with any questions! My name is Ian Metcalfe, PT, DPT, and I am originally from Marion, NY. I graduated from Nazareth College with my Doctorate of Physical Therapy in 2018. I am an avid soccer fan, and I’m passionate about wellness and healthy living. Hi my name is Katelyn and I recently joined the Agape family at the end of May 2018. I come from 5+ years working in the medical billing field, with the last 2 years being primarily Coding. When I am not at work I indulge in my love of books, loud concerts, and historical costume design. I look forward to meeting you and helping with all of your scheduling and billing needs! Hello, my name is Isaac and I am thrilled to be part of the Agape Team! I am from Rochester, NY and I graduated from The College at Brockport with a bachelor’s degree in Marketing. I have over six years of experience in retirement plan advising. I am passionate about bringing process improvement and positive change to my company. I know that I will be able to help bring excellence to your Agape experience! When not at work I am a passionate outdoorsman with a love for nature and conservation. I also enjoy being involved in almost any sport you can think of, as I try to stay as active as possible. I look forward to doing everything I can to assist you in your time with Agape. Complete rehabilitation and hands on attention to our patients are the cornerstone building blocks of Agape Physical Therapy. Our physical therapy professionals are completely invested in restoring, improving, and reclaiming your movement to maximize your wellness and performance. After complications from a bout with cancer in the summer of 2018 that left my body very weak, i went to Agape Physical therapy in Penfield. The therapy was well planned and executed,the staff very knowledgeable, helpful,and supportive. After several months of therapy, I improved tremendously and am now getting ready to participate in the Senior National Games in Albuquerque in june representing New York State. Forever thankful for their efforts on my behalf. Agape Physical Therapy is wonderful!! Mike designed a program that saved me from surgery. I started PT with limited shoulder mobility and pain and left with no pain and full mobility. I would recommend Agape PT, Mike and his staff to anyone needing care. Thanks Mike! My experience with Agape PT in Penfield has been excellent. Natalia and Chris go out of their way to provide professional, yet personal services. I originally started at Agape' for back/leg pain, Natalia worked wonders. Chris was a lifesaver when I was experiencing vertigo issues. The entire staff is friendly and welcoming. I would, and have, referred Agape' PT - Penfield to anyone. I went to the Webster office for a rotator cuff issue, hoping to avoid surgery. Within a few visits, I was feeling much better! The staff is so friendly and helpful. I would definitely return if I need any more PT. My shoulder was fixed without surgery and I was sent home with exercises to use to keep it in top shape! Thanks, everyone! Knowledgeable and experienced physical therapists, great variety of exercises, convenient location and hours. My experience at the Gates location was exceptional. My therapist was Joe Krokenberger. He was thorough and knowledgeable when he evaluated me and designed a program to address my pain issues. During the weeks of treatment, he accurately diagnosed the need for me to see a chiropractor in addition to the therapy he provided. I am pleased to say that I am walking pain-free. Thank you, Joe, for your professionalism and sunny disposition.....you were a joy to be around. Wishing you abundant blessings. clean friendly and for YOU! Trevor is the best! Finds what's best for your needs and fits it into your schedule. I very highly recommend choosing Agape Physical Therapy for your rehab and physical therapy needs. They are a wonderful group of supportive and caring individuals that along with gently pushing and challenging you, that they make every visit personable and enjoyable. 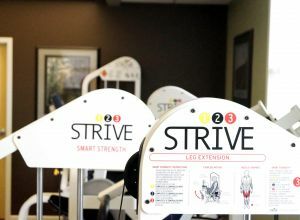 After I finished the physical therapy sessions I joined the ‘fitness program’ where I am able to use the treadmill, elliptical and other exercise equipment, along with all of the other tools that I had been shown to use for the recovery of my ankle. 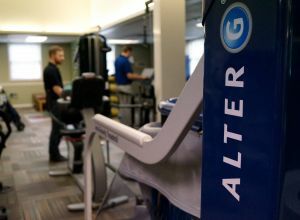 With a reasonable monthly membership... they have interns available that provide free assistance, guidance, and motivation for continuing rehab maintenance and general fitness achievements. Without question, I would choose Agape! ~Kelly R. A Special Thank You to Adam, Violet, Daniel, Maddie and the best intern ever... Pauly. I actually look forward to going and working out at Agape because of them. I saw Justin for a back issue. I was able to eliminate the pain while continuing to exercise & he provided valuable instruction that I can use going forward. I started here with knee and lower back pain after some improper gym form. Not only did Justin Farnsworth eliminate the pain with his therapy but dramatically improved my time in the gym. Thank you, Justin and I would recommend anyone with physical ailments to consult with them. He tailored every visit to my current level and needs. I currently run cross country in college and started going to see Justin in the winter of my junior year. I first saw Justin for an ankle/achilles injury and most recently saw him for an ongoing hip injury. Over my years as a collegiate athlete, I have seen several physical therapists and athletic trainers. Justin always spent a significant amount of time doing manual therapy, soft tissue, and ART on both my hip, calf, and ankle. He always explained why he was doing what he was and gave me specific exercises that would help me now and in the future. I always left therapy feeling better than when I walked in. I am very thankful for how much Justin was able to help me, in such a short amount of time! They are very understanding and awesome with your pain. And if you have change appointment to later they help with that or change it for another day they have helped my knee pain a lot! They are the cleanest place I have ever seen. And they get rid of your pain and fix the problem. 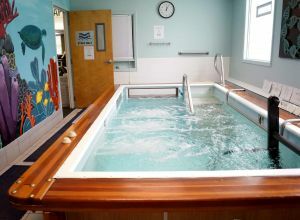 Physical therapy at Agape PT was effective and enjoyable. I highly recommend! Agape Physical Therapy was recommended to me by mom, who went there after her knee replacement. I celebrated 2019 with a work-sustained back injury. Within moments, I knew I was in the right place. I was greeted by Violet, who worked to answer my questions and advocate on my behalf. My therapist was Dan. I was nervous because I was told by many that PT did not work for them when they had a back injury. Dan made me feel comfortable, answered all my questions, gave me some exercises to do at home, worked with me despite me being constantly late to sessions and most importantly, took the initiative to get to know me as a person. Sometimes, I think people get too involved in work and become task-oriented and don’t get to know the individuals; this obviously was not the case. The difference between my pain levels during my first PT session and today (my last PT session) is night and day! I will always be grateful. This is where you want to go for PT! Amazing teamwork and amazing staff! 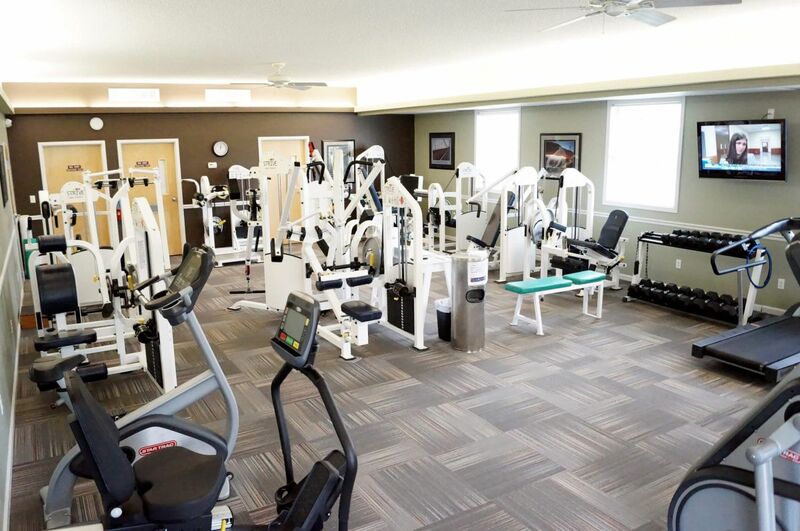 Excellent service, convenient hours, clean and modern facility; 1 minute from the highway; one of only three facilities with a pool with a treadmill; professional physical therapists, not college Phys Ed majors. Michael H. is very good and friendly, too. The Webster Agape staff is knowledgeable and professional. I have had multiple knee surgeries and have visited many other physical therapy offices. I have recently finished working with Catherine Losurdo and would highly recommend her to anyone rehabbing from an injury. Catherine is efficient and consistently maximized my time during my visits. I appreciated how she varied the exercises as I progressed through my rehab protocol. The workouts were interesting and kept me motivated. 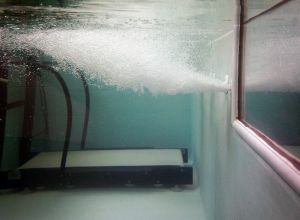 From a facility standpoint, the space is small, but well equipped and includes zero gravity and underwater treadmills. My experience with Catherine was far superior to other physical therapists that I have worked with and I highly recommend her and the entire Webster staff. Thanks! The physical therapist who worked with my patient was very thorough and did well to make sure he was activating her muscles and trying to actively make progress happen. I am a repeat client of Joe, at Agape Physical Therapy Elmgrove in gates. Best PT experience ever. In 2017, after a rear-end car accident, Joe did wonders for my neck injury. In late 2018, another accident (yeah unlucky, both I was not at fault) brought me back to Joe for again my neck and right knee. Joe is a kind, empathetic, highly skilled therapist, and has provided me with wonderful care. Joe and his colleagues have great camaraderie, and help each other out, as needed. Highly recommend. I worked with JP before and after my surgery and I give all the credit for a smooth recovery to his expertise and professionalism. From the first visit after surgery he gave me exercises and showed me exactly how to do them) that would help me strengthen the muscles and the surrounding area. Then as I began to get better he always challenged me to push just a little bit more, do a little bit better. He’s very inspiring. All of the Physical Therapists are positive and knowledgeable. It has been an extremely positive experience. I had an awesome experience and a great atmosphere to be in. Everyone is very nice and friendly! I have had the “pleasure” to be able to seek physical through Agape PT at The Webster office. Both occasions I have had Catherine treating me. And both times very successfully. The first time, she had a “student trainee” (for lack of a better term) Kate. Catherine gave Kate terrific guidance and freedom to help my need to heal. And glad to see, she is now part of the staff. The second time was pure Catherine’s knowledge of her talent to treat me, to a successful end. The support staff also has you feel welcome and are accommodating. I still practice and carry on with the advice and recommended exercises/stretches. This is by far the best experience I have had with physical therapy! I have been seeing Justin for running related hip trouble, and it’s clear that he is super knowledgeable, experienced, and skilled. He takes the time to listen to his clients and their goals and to explain his reasoning behind things, which makes a huge difference. After dislocating my shoulder, my doctors told me that I would need a shoulder replacement! However; with the help of Trevor and Alex at Agape Greece, and the care and passion they put into my recovery, shoulder replacement is longer an option!! The entire staff including the receptionists is not only knowledgeable and professional but they are also friendly and fun to be around! I enjoy my visits, and I am so happy and grateful, to the entire staff!! I HIGHLY recommend these guys!! Mike Joe and the entire staff are professional and caring. Great facility and equipment. 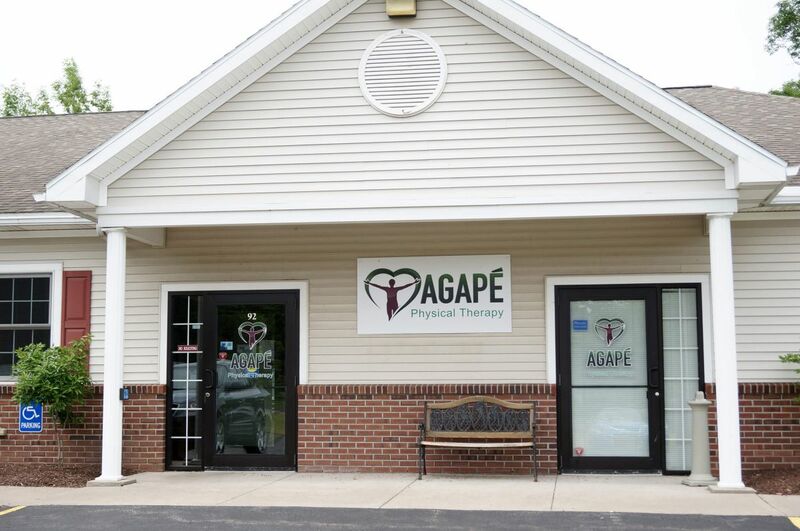 I’ve been a patient at Agape Webster Location for a number of years. Catherine Losurdo is An AWESOME physical therapist. She has worked with me to recover from a running injury and after surgery(due to a work-related fall). I continue to use all of the exercise that she has shown me on a daily bases. All of the staff treat me with nothing but LOVE and respect. I will recommend anyone to Agape. I have had knee replacement and surgery for Meniscus Tear. Both were a challenge for me. I was very fortunate to have Catherine as my Physical Therapist. She was diligent and persistent to get my range of motion back. Agape Therapist keep up to date with their education and advances in their fields. They add new equipment to their programs and work well with the Orthopedic Doctors. I worked hard, was challenged and was successful to be pain-free! I am very grateful to Catherine for a positive experience. This office and their staff are incredible. I’ve had great experiences with both Devan and Chris, and I’m so sad that Devan’s clinical is done! They are all very friendly and casual while being incredibly knowledgeable and helpful. No matter how many patients they have at a time, they are always attentive and make me feel like a priority. One of the best healthcare experiences of my life. I sought therapy for my back due to an injury sustained at work. Agape was great during every step of the process. The staff was kind, caring and compassionate. They taught me techniques and strength exercises I could easily do at home to maintain superior core strength. Most importantly they got me back to work stronger than ever, which is necessary for my career field. One of the best clinics I have ever been to in quite some time. Convenient location, friendly staff, and a very clean facility. I would highly recommend this place! I can not say enough about the staff at Agape Gates. Wish there were 10 stars!! I started back in May of 2018 for shoulder/neck issues. Brian Chin was my therapist at the time. He helped me gain the strength back and then I started going on my own on a regular basis for gym fitness. 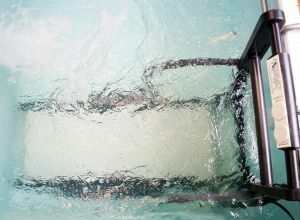 I also have taken advantage of the Hydro Track underwater treadmill that is amazing! I do recommend that to anyone that may have any type of joint pain when walking, give the Hydro Track a try to help keep them moving!! Brian has since moved on and JP is now working with me. I needed a slight "tune-up" and JP has gotten me back on track very quickly. The entire staff of Agape Gates is wonderful. Mike, Joe, JP, Brett along with Beka at the front desk have always taken the time to listen and answer any question and to help me perform my exercises in the correct way. The entire staff is always so professional and friendly. The therapists interact with their patients on a more personal level and not a clinical level ( if that makes sense I am not really good with words.) I have been to many different Physical Therapy places over the last 20 years and I have to say Agape Gates has been the best experience of them all. Most comfortable place by far with great background music!!! I am now having my knee replaced and looking forward to returning to continue on with PT. Can't wait to get back on the Hydro Track and work my Agape "family". Mike has a wonderful team and they work really well together!!! I have been involved with the Agape Webster location for the past four years. My therapist is Catherine L. and she is fabulous! I would not have been able to recover from my three extensive elbow surgeries without her expertise The support staff and other therapists are respectful, knowledgeable and supportive. I have had a chance to observe many therapists throughout the years and they all are very personable and work so hard to get their patients to their goal. I don’t know what I would have done without all of their services. Love this location! Super clean, friendly, and knowledgeable staff! Highly recommend! Everyone, from the physical therapists to the office staff, at Agape Physical Therapy Gates is AMAZING! Recently, I had to undergo a total knee replacement revision, due to component issues, and the physical therapists at Agape Gates were some of the, if not the BEST, therapists, in helping me to work through my pain and gain the strength and mobility that I thought was gone forever! They (Joe, Mike, and JP), are very knowledgeable in their work, and have all, in one way or another, helped me work towards my improvements. I have been working steadily with Joe for several months now, and I am grateful for all that he has done for me! These guys ROCK! 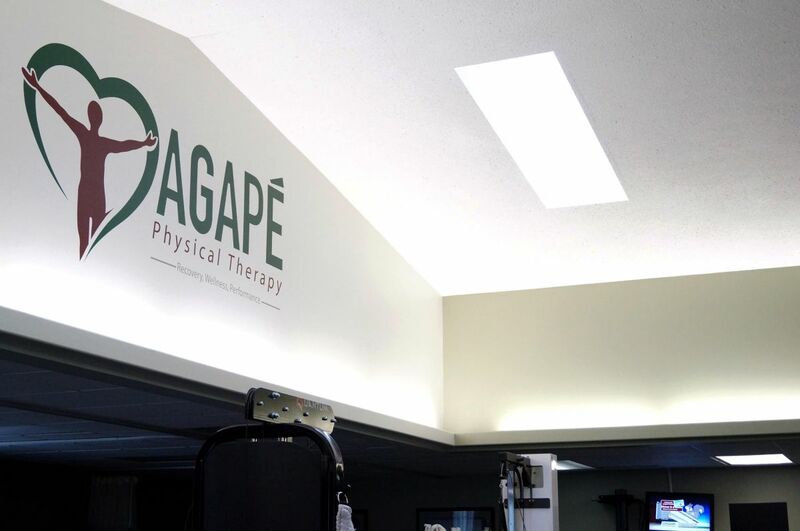 If you're looking for top-notch physical therapy, and therapists, go to Agape Gates! I had been a patient at Agape, Gates location and was blown away by the incredible staff. Mike (coincidently we share the last name) is one of the most compassionate, knowledgeable, experienced, professionals I could have ever had the pleasure of being my PT. He goes above and beyond and you can tell His passion is the well being of his patients. He is the whole package in the way he pushes you to make sure you will optimize your result. The gates clinic is amazing. State of the art equipment, exceptional staff and a clinic coordinator who demonstrates the utmost professionalism with his patients and staff. Would never go anywhere else or have any other PT than Dr. Hughes. Truly an asset to Agape! I just want to say I had a great experience at Agape In Gates with my physical therapist Joseph Krokenberger. I came in with frozen shoulder and in a lot of pain. Dr’s predicted it could take up to a year to treat and get over shoulder pain. Joe treated me and in under two months my shoulder was free of pain and I was able to move it freely. The place is clean, people are friendly and professional in their work. I can not say enough great things about the place and the workers. Highly recommend Joe for therapy! Mike H is awesome! He genuinely cares and is extremely knowledgeable (as well as the other team members). I enjoy coming here to receive treatment for the pain I experience. Agape is amazing they have a wonderful staff who really takes your well-being and puts it first. This is my second time with them and both my therapist have been awesome. JP is just great pushing me to get where I need to be but doesn't ever let me overdo it .Thank you to the whole staff. I have seen Dr. Hughes at the Gates office several time for 2 different issues and have had amazing results. Mike was able to determine what the root cause of my issue was and effectively treat me. He even was able to determine that the one issue was related to the other and along with my in office treatments he sent me home with exercises to allow me to continue my treatment at home and while I travel. All the staff are friendly, professional and beyond helpful! Thank you for relieving me of my pain! I would highly recommend Mike Hughes and the Gate office to anyone in need of physical therapy! 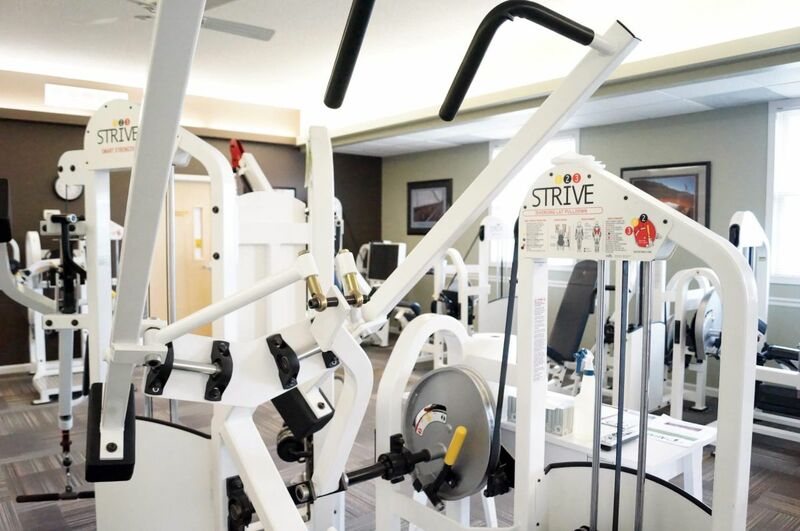 The Physical Therapists at Agape Physical Therapy are wonderful; they treat their patients well, they offer good exercise programs for them, and most importantly, they care. This place is not just about taking care of patients, it’s about making them feel at home. Chris Greene is a wonderful physical therapist who cares about his patients by attending to each patient along with connecting with them personally. The facility itself is clean, it has many trash cans, and it even has a television. 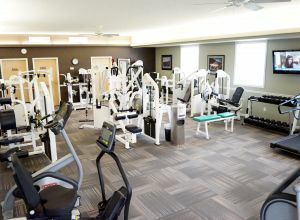 The seats are comfortable, the room feels warm at times, and they have a lot of exercise equipment. After shadowing at Agape Physical Therapy for a week, I can gladly say that I had an experience that I will never forget. Anyone who needs Physical Therapy, come to Agape Physical Therapy in Penfield. You will not be disappointed. Apage, and specifically my physical therapist Joe, have been amazing help. I have been suffering from deep knee pain for years, unable to find any relief or diagnosis. After two sessions, Joe determined that I was experiencing radicular pain from my back. I then had a specifically tailored exercise and stretching plan created, just for me. This plan has been allowing me to manage my pain and honestly even have completely pain free days as well. For the first time in years, I have been able to squat and get back up without looking for a wall or something to support me. I would highly recommend this establishment. It's clean and professional. I also highly recommend asking for Joe, if he has availability. He does see a large volume of patients as it is, and I can certainly see why. I have been attending agape physical therapy for while due to a sports injury, and I have always been treated with respect, intelligence, and never had a more enjoyable time trying to recover from surgery. I will recommend this place to anyone who has surgery and needs therapy afterward! So glad I went here! Devon and Chris are fantastic and really seem to care about their clients. I felt better after my first visit. Excellent care in a clean facility with a very knowledgeable, pleasant staff! Highly recommend! Chris Greene was extremely attentive and listened to my concerns. I was an injured runner trying to make it through a 1/2 marathon. Not only did he help achieve that, that but he designed a training program that pushed me to place in my next race. I highly recommend Agape Psychical Therapy to any athlete overcoming injury. Just an FYI... Be prepared to work! I was referred to Agape Physical Therapy because of heel pain. It was diagnosed as Achilles Tendinitis caused by bone spurs, arthritis, and bone degeneration. The podiatrist mentioned the words “Possible Surgery”, but wanted to try PT first. Being a stranger to PT, I didn’t understand how PT would help. Just moving my foot hurt. How could moving it around even more help? I decided to go anyway. Completing the first visit paperwork was easy. Violet, the Client Services Advocate, was very pleasant, which helped make the process simpler. She answered the questions I had and the job was done quickly. My therapist, Madasyn Smith (AKA Maddie), promptly introduced herself in a friendly manner. She thoroughly inspected my foot, and truly listened to what I had to say. Once the therapy started, she instructed me on each exercise treatment as we went, being sure to explain the proper technique to use. I was surprised to find that several of the exercises involved motions I had been afraid to do for the past several months. For example, at home, I had been refusing to climb a ladder to fix my roof because of all the nasty things I thought would happen to my foot. One exercise the first day was done by standing on a ledge near the ball of my foot, and raising myself up and down with my feet. Sounds almost like climbing a ladder to me. It didn’t even hurt. After about two or three visits, I managed to sprain my other foot working around the house. It was kind of painful to walk on, and I wondered if I needed to put off the therapy for a bit. Maddie thought I might try to keep the therapy going and see how it went. There were a couple of exercises I was unsure I could do, so she found appropriate alternatives. One other important thing. She considers each client as a real person with feelings, not as just the next patient in line. You see, at the time of my therapy, I had been going through a dark period in my life. Interestingly, rather than dreading each therapy session as I had imagined I would, I found I actually looked forward to them. Going there and interacting with Maddie and the rest of the wonderful staff really gave my spirit a needed boost. The end result of my 12 session treatment is that it produced the results I needed. It has been three months now, and I am still pain-free. In case Maddie or anyone else on the staff wonders why it took me 3 months to write a review, I just wanted to give my heel a really good road test. It could have been pure laziness too, but I don’t want anyone to think that. I tip my hat to Maddie and all the other great staff at the Chili location of Agape Physical Therapy. You made what I thought was impossible happen. I have recently had the pleasure of working with the staff at Agape Chili. I have found them to be professional, compassionate, and knowledgeable. 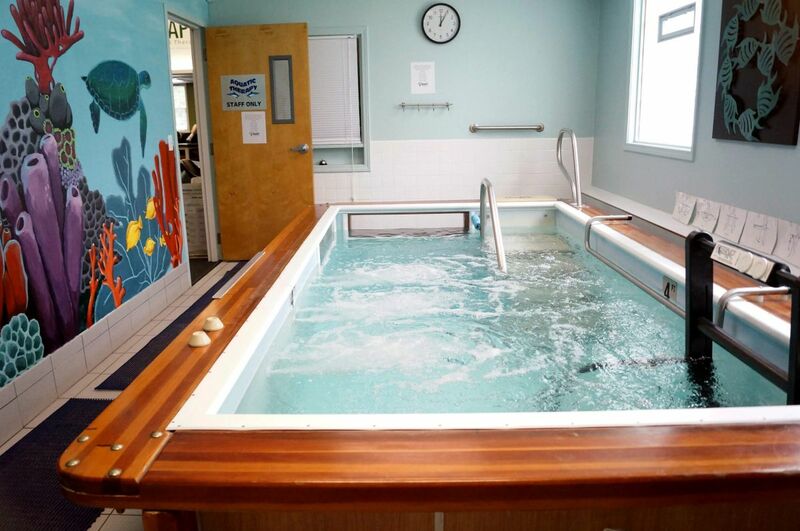 The facility has been recently upgraded and includes state of the art rehabilitation equipment. I have been working with Dan, Adam, and Madison and found them to be not only helpful but inspiring. Way to go Agape!! Thanks for all your help! I’ve been going to the Chili facility for the past 5 weeks to rehab from knee replacement surgery in December. The entire staff (front-end and therapists) is friendly and genuinely interested in my successful and complete rehab. Adam and Kelsey are the primary providers of my care and they’re very knowledgeable therapists who have helped me to make good progress with my rehab. 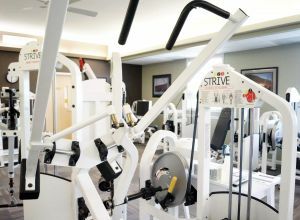 Equipment at the facility is up-to-date and parking is convenient. When I began my shoulder rehab at Agape I was most concerned about the range of motion limitations of my arm and pain induced by extending my arm. With the guidance of my Physical Therapist, Adam, and a number of weeks of prescribed exercises and stretches, my shoulder has improved to the point where I can resume sport activities without the worry of more severe injury, worse pain, or potential surgery. I recommend Agape for those looking to rehab injuries because of their expertise, great equipment, and positive atmosphere for recovery. I came to Agape for help with Achilles tendinitis and to help me maintain my running training. I was referred to Justin by my podiatrist. I couldn’t be happier with my experience. Justin shares his expert knowledge in a very user-friendly manner. I highly recommend Agape and Justin! Phenomenal experience with excellent results!!! Christopher Greene PT, DPT (and staff), was very knowledgeable, thorough, professional and personable. I am very thankful to have 100% of my mobility and strength back. Thank you! Tennis/golfer's elbow (I had both) can take a long time to heal. The orthopedic surgeon who recommended PT said that his tennis elbow took a year to heal. I was already thinking about Agape (because they had done such a great job helping my wife rehab from a broken arm), and the surgeon agreed that they were "excellent." I spent six months of weekly appointments with Agape therapist Catherine Losurdo. She guided me expertly with exercises and used other techniques (including surface scraping with a tool to remove scar tissue under the skin, which was VERY helpful). 6 months ago I could not pick up a grocery bag of potato chips with my right arm, and now I can carry an over-packed bag full of glass bottles and cans. Catherine was great to work with; she's very skilled at locating exactly the trouble areas among the muscles and tendons and finding a way to get it to heal. I highly recommend her, and from what I saw of the other therapists they all seem to be very competent. Also, Catherine emailed me video links of all the exercises, so if I had forgotten any of them I would have no problem continuing all the exercises at home. And the office staff are friendly, easy to deal with and very helpful in dealing with insurance. I hope I don't need more PT in the future, but if someday I do, I will certainly go back to Catherine at Agape! JP was GREAT!!! All the staff is very kind and caring and my time there was very well spent. They seem to be able to work with anyone who walks through the door with whatever the issue is, in a manner that suits each client. If I ever need physical therapy again, I will return there!! The PTs and PTs-in-training were very thorough at my initial evaluation which I greatly appreciated. The treatment they came up with for me was perfectly targeted to address my physical issues. Throughout my course of treatment, I never felt rushed by the staff. They allowed me to take all the necessary time I needed to feel (and get) better. I’ve been going to agape for all my after surgery care and Justine and Kelly are fantastic. An awesome place to rehab or just work out!!! My sports medicine doctor recommended Agape Physical Therapy for help with a hamstring injury. I'd already done months of physical therapy somewhere else with little improvement. But my doctor said, "Agape is the place to go. You'll get results." He was right. Thanks to Chris Greene within 6 weeks the hamstring problems had resolved. When I developed shoulder tendonitis a short time ago, I went straight to Chris at Agape PT Penfield. In a relatively short period of time, my shoulder is working normally again. I keep Chris's card handy and have recommended him to many friends. Chris in an amazing PT not just for his professional knowledge and skill but also because he's got a great personality, sense of humor, and connection with people. Chris has been fantastic with helping me recover from a shoulder injury! He's designed a program to not only rehab my shoulder but also to prevent future issues. He's extremely knowledgeable and is clearly devoted to the success of each of his clients. I especially appreciate how he's willing and able to change up the plan at the drop of a hat based on how I'm feeling. I won't hesitate to ask for his help again in the future! I just finished up my therapy about 2 weeks ago with Justin. He is an awesome PT, he is very funny, respectful and will push you so that you will get better, he always reminded me why I was there and that is what kept me motivated. He is very knowledgeable at his profession and I would recommend him to anyone. Not to mention the front desk staff are very nice and pleasant, such a great atmosphere to do PT and the music is great too! Daniel Strack was awesome! He was very knowledgeable and took the time to explain the science behind the different exercises/muscles and why certain things hurt/helped heal my foot/ankle injury. He was also very personable and I was always looking forward to my next appointment to chat about sports, family, etc. I highly recommend Daniel and the Chili Agape to anyone looking for physical therapy! I truly enjoy going to agape physical therapy and working with Trevor. He truly works hard with getting you back to normal after an accident or surgery. I’m a student at the University at Buffalo and had the fortunate opportunity to observe the therapists at this location of Agape. I use the word fortunate because it was truly an experience. Both Kristina and Chris were more than thorough with their explanations to my many questions and it didn’t take me long to realize how skilled the two of them were at their profession. I have shadowed therapists at other places but the atmosphere at the Penfield Agape is incomparable. If you’re looking for a great time and fantastic care, this is definitely your place no matter your condition! I have been working with the team at Agape for about 3 weeks now and I have to say they have been amazing. Working with Chris specifically has been an excellent experience because the guy really knows his stuff. he is very friendly and patient and he will put you on the right track to healing. If you're thinking about getting PT then look no further! I had Chris as my therapist and I loved my experience. I came with lots of tightness in my neck and back and now I am able to play my sports with full range of motion, something that I haven’t had in years. I continue to shadow at Agape and I love all of the therapists and what they do. Definitely recommend coming here! Great facility and staff. Dan helped me get back on my feet after a sports injury took my ankle out of commission. I would highly recommend them and would not hesitate to come back if I ever needed to. I’ve been working with Justin for the past 3 months and I couldn’t be more happy with my progress. I thought my athletic career was over after my last injury but he got me back to where I needed to be in less time than expected. He genuinely cares about his patients! Also, the facility itself is class. Great professional and office staff. Not the in and out mill of some PT offices I've experienced. Excellent personal attention along with kind concern and individual care. Wonderful experience! The staff is helpful, friendly and inviting which lends to the peaceful atmosphere: ideal for healing. My physical therapist was encouraging, he listened to me and creatively adapted treatment. This is a patient-centered program, with caring, supportive, therapists and staff. Trevor & Justin...a wonderful team for physical therapy. Very knowledgeable, respectful & polite. The whole staff is great. A fantastic place it has physical therapy. Went to Agape due to an issue with Vestibular Vertigo. I have done the Epley maneuver in the past due to vertigo and hands down Justin is the best at this maneuver. Many people are not even aware this treatment exists and the results are phenomenal in just the first visit. Sometimes it will go right away with the first treatment but others may require a few. If you know of anyone that has vertigo issues please send them here! Justin and the staff will not disappoint. He even gave me his cell number as my issue began on a Friday and he did not want me to continue to suffer if I had issues over the weekend and said call me if you need me and I will come in. Justin, you are a class act and Agape should be proud to have you as an Employee - Also kudos to Kelly at the front desk for getting me in right away! I first experience with Agape dates back to 2008, when I needed rehab after my surgeries. I returned a few years later after my shoulder surgery, and most recently in 2018 for a repeat injury to my shoulder. I return here because they are always so professional and knowledgeable about in regards to my P.T. I am so glad that they have a new and bigger location in the Chili Plaza. The best part of going to Agape was my results and I was able to get back full use of my shoulder in a short amount of time and to be pain-free. I would highly recommend Agape and all the Physical Therapist especially John Patrick Horan. Thanks to them, I am pain-free. Great experience. I avoided PT for 2 months, but after I couldn't take the pain and the loss of the ability to lift things over my head I decided to do it. PT. John Patrick is very knowledgeable and carefully designs a strategy to help fix the problem. After four weeks 1 hour long sessions, my shoulder is 90% better and will continue to get better with the exercises targeted for the shoulder injury I had. I'm not a huge fan of physical therapy, but the Agape in Chili is the best. I've been to several different physical therapy locations/businesses not related to Agape and I can honestly say this location has THE BEST staff including Violet (the receptionist)!!! They are very caring, knowledgeable, and will challenge you if you request. I wanted to be challenged and JP Horan did just that. I couldn't have gotten such awesome results from anyone else! I started feeling better from a pinched nerve within the first week, but Justin kept working with me to make sure I would get stronger! Had a minor setback, but again he quickly got me back on track! I had a terrific experience working with Justin Farnsworth at Agape. Justin explained everything very clearly and was knowledgeable about the latest studies. He was sensitive to when I got tired and had great suggestions which helped me recover from a broken leg. I highly recommend him. I just completed a month of physical therapy at Agape's Chili branch and I was extremely pleased with my experience at the facility, as well as working specifically with Adam. I appreciated how he listened carefully to my situation, how he was extremely knowledgeable, how he perfectly tailored my therapy to address my issue, how he carefully guided me through each exercise, and how he made my time at the facility very worthwhile. Adam treated me respectfully and was very encouraging. I have been dealing with lower back pain for years and I finally feel there is hope! I highly recommend Agape - Chili to anyone who is in need of physical therapy. In my opinion, they are the best in the Rochester area!! I've felt much better and less pain since coming here. Chelsea was very helpful and Kate was too. These guys are the best! Very knowledgeable, Justin and Trevor have a certain finesse about pushing you to your limits at just the right times for the fastest recovery possible. They are both kind, caring and listen carefully to any of your concerns. If I ever need any other therapy, I will definitely be coming back here. Had a great experience! Everyone was incredibly nice and easy to work with. Adam is an excellent therapist. He used several techniques including cupping and other exercises. He helped my problem areas immensely! Great experience. Will use them again after my next surgery. I recently attended Agape Physical Therapy after a head injury & suffering from migraines. Daniel was knowledgeable & persistent in treating the cervicogenic headaches. I walked out of the clinic last night after a progress report. My improvements in both my strength & pain levels were significant. I can’t thank Daniel & the staff of Agape Physical Therapy enough! I have been in and out of physical therapy MULTIPLE times for the last decade,(I have Ehler’s Danlos Syndrome - Type 3, Hypermobility) and until finding Agape was unsatisfied with anywhere else I had gone in Rochester or Buffalo. I’ve seen other wonderful therapists at Agape, but Daniel is the physical therapist that “gets me” as a runner - and has worked with me in making sure I am staying HEALTHY and strong while working towards of goal of either - getting BACK to running or training. In Spring - I went to Agape for extreme plantar fasciitis in both feet, posterior tibial tendinitis in both legs AND an intercostal and paraspinal strain - I felt wrecked, physically and mentally. And of course, I had a race I really really wanted to run - instead of telling me no from the get-go, Daniel worked on different exercises to be able to get me to a safe place to run the race healthy. I finished my first 10k ever, and couldn’t have done it without him! I continued my at home program but was sidelined again by my plantar fasciitis and was on strict no running, rest from my doctor. I spent all of June and July, pretty much miserable with being unable to run and not really seeing any TRUE progress - I reached out to Daniel, who despite not having me as a patient at the time, answered some questions for me and gave some suggestions to bring up to my podiatrist. Finally, on July 26th I WAS CLEARED TO RUN - and the crazy, won’t let go of my goal, side of me signed up for the Rochester Half Marathon - giving myself exactly 8 weeks to race day - I called Agape and lovely Violet got me back on Daniel’s schedule again. The last two months have been hard training wise, but my plantar fasciitis is TRULY improving, despite running, and my posterior tibial tendonitis is pretty much gone. I don’t think I would have been able to sign up and train for the race, had it not been for Daniel’s ingenuity of exercises and adopting a program to meet my needs. I am lucky to find a PT who supports my crazy goals - even when they seem a bit far-fetched. I used the "Direct Access" program at the Penfield Agape location and was very pleased. I got immediate care without a referral. I would suggest this to anyone. The facility is modern and very clean. Most importantly, I worked with true professionals that were always friendly, and willing to help. My PT, Chris Greene, showed a passion for his craft, his only concern was that my condition improve. He was a great teacher and made sure I learned the techniques so I don't have to go back. 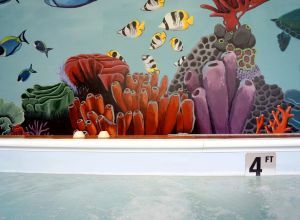 I enjoyed going to physical therapy at Agape. The atmosphere was always positive and cheerful. Joe, my PT, was amazing and helped me so much. I'd highly recommend Agape. I had a great experience with Natalia at this location! She was easy to work with, caring, and helped me learn about my body and how to heal it. I would highly recommend her, especially if you are pregnant or postpartum and want to get into regular exercise again. I can't say enough good things about my experience with Adam and the rest of the staff at the Chili location. I was told that surgery was the best option for chronic neck pain & carpal tunnel symptoms. After just a couple months of working with Adam, my mobility and sensation has improved tremendously. I am now able to again enjoy my hobbies, perform my job well, and sleep so much better than just a short time ago. Thank you, Adam! And thank you to the rest of the wonderful staff at Agape! Natalia Farnsworth was instrumental in addressing my weak core and back pain during and after my pregnancy. She was easy to work with, very thorough, and detail oriented. The location is clean, bright, and well equipped . And they were always accommodating to me bringing my kids to appointments. I would highly recommend working with her! Justin and team are true professionals and know their stuff. I was very impressed with the no-nonsense approach to rehab: put in the work and you will feel better and be better. Thank you very much! I have recommended several people to Agape already and will continue to do so without hesitation. They were very helpful and made sure my mother understood every step of the process. Everyone was so friendly from the receptionist to the physical therapist. A great place where you can feel at ease, that your loved ones are receiving the highest level of care. Natalia was a great therapist to work with. I always felt comfortable with her and she always had concern for my viewpoint and how I was feeling. She worked with me and responded to my feedback to help me and solve the problems I was having. She gave me suggestions and exercises to do at home as well as creative and effective exercises to do during our sessions together. Thank you Natalia! The Agape Physical Therapy-Chili met all my expectations of effective therapy. I went to them for two separate events and both times JP was understanding, flexible and kind. He always found a way to get the result I needed. The site is clean, there are multiple pieces of equipment and the staff are all friendly (here's looking at you, Violet). Would definitely recommend and I will return if another joint requires their excellent care. The staff and PT personnel are amazing. Justin F. & Trevor are awesome, routined, treated me like family. Both are very knowledgeable with sports which makes the overall experience awesome beyond words. These gentlemen will get your body back to 100% I guarantee it. It was fourteen years ago that I found myself flying through the air, me attached to my bicycle by sheer force and gravity. Time, definitely slows down just before an impact like mine. I felt each bounce as my whole body rose in the air and landed on the hard limestone rock that made up the mountain bike trails in Texas. Yes, that really happened and needless to say numerous Dr.’s, Physical Therapists and Chiropractors have been trying to help me heal since. I had just about given up the hope of recovering to live a quality pain free life. One where I could walk, ride my mountain bike, backpack into the forest with all my gear to camp and do it pain free. I decided to try one more time, that is when I was referred to Natalia Farnsworth, PT, DPT, CAFS. Under Natalia’s care and supervision I found muscles and strength I hadn’t felt since my accident. Thanks to Natalia I am on my road to recovery!!! I have started riding my mountain bike again and have been hiking, though I’m not ready to wear a pack yet, I’m getting there! Natalia is the first PT to actually give me a full assessment and create a real plan of action. It is that plan and hard work that has helped me get this far and with dedication, determination and Natalia’s expertise I will succeed in being the best I can be in physical health. Staff is very knowledgeable and helpful. I had a total knee replacement. They were extremely helpful in my care. Catherine is amazing. She pushed me and was able to assist in spedding up my recovery. Thank you Agape and Catherine! Just wanted to say thank you. Chris was a great help. Since PT this past winter I can actually ride my bike 7 miles with no pain. Knees feel swollen sometimes after, but I'm moving. I still do the pt Chris showed me; hopefully right. Lol. Awesome. I have had the pleasure to be treated at this branch 3 times. There is nothing bad that I can say about the staff. Best in the city!!! My chiropractor sent me to Agape for muscular pain I'd been having. After finding out that its cause was because I frequently hunch over my desk and my craft projects, I hardly thought physical therapy would help me much since I've been hunched for years. After working with Trevor Stutz who took such great care of me, the results are nothing short of amazing! After 6 visits, not only is my back pain gone, but my muscles are actually much stronger than I could have imagined. My sleep is better and my body has been retrained into better posture. I am no longer in agony when sitting in the car for long periods, and can enjoy walking again. Thank you so much Agape! I felt like Natalia took a genuine interest in my issues, myself, and my life - I wasn't just another patient on her schedule. I have been to PT for previous issues and I hated when the PT would just put me on a machine and walk away for 15 minutes. I never felt that way with Natalia; she checks in with me continuously, sits with me to discuss my plan of action and worked to problem-solve my issues. Hopefully, I won't need any PT in the future, but they will be my first call! I was incorrectly diagnosed with fibromyalgia after lifelong diagnosis with Crohn’s disease which led to Rheumatoid and arthritis and a lifetime of chronic pain. I have been to two physical therapist before and I was always very doubtful that they could make a difference or even work. I went to the first one in the hospital and it was filthy and it feel as though the physical therapist who is clumsy and uneducated. The second physical therapist had been a student of mine at a college in Buffalo and I hate to say it but this was the most uneducated person I’ve ever come across. My husband had been to Agape before and highly recommended I try it. I asked my doctor to switch my physical therapy over to Agape and Penfield and boy was I thrilled. Dr. Christopher Greene had been a huge help from the moment I met him. We both agreed that fibromyalgia was not the major cause of my pain but rather the Arthritis was causing the majority of my fatigue and he had just the kind of exercises That would get me back on my feet literally. After six weeks I was able to climb a flight of stairs without hanging onto the side rails for dear life. Within 12 weeks I could actually open a jar that no one in my family put open. Within three months I could keep up with my marathon husband and actually felt shocked that I enjoyed working out again. After I’m done with Dr. Green I plan on continuing to work at the center in Penfield and paying a monthly fee so I know that I won’t hurt myself we can stay fit enough to continue working for a long time to come. All of this is things to Dr. Green! My daughter went to Justin Farnsworth for her physical therapy. She had an amazing experience and had wonderful results. I highly recommend this practice! The staff at the Chili office was awesome! I had Maddy as my PT and she was great!! I had a 10 visit prescription to rehab my shoulder and was released after only 7. Entire staff was friendly and caring including the receptionist Violet who always asked how I was doing. My mother who is 98 went to the Chili for PT and was treated by Maddie. I wanted to tell you that Mom was very pleased. The therapist was very kind and competent. Mom felt like she was helped a lot. Everyone at Agape Physical Therapy in Greece was very helpful and nice to work with. Justin does an amazing job teaching you the stretches and strengthening exercises to help you reduce any pain you may be experiencing. I highly recommend the Greece Agape if you are looking to do physical therapy for any injury. I am a 59 year old man who has struggled with a bad back my entire life. I recently visited Agape Physical Therapy in Greece to help me loosen up my upper and lower back and I am amazed by the results I've experienced in just a few visits. 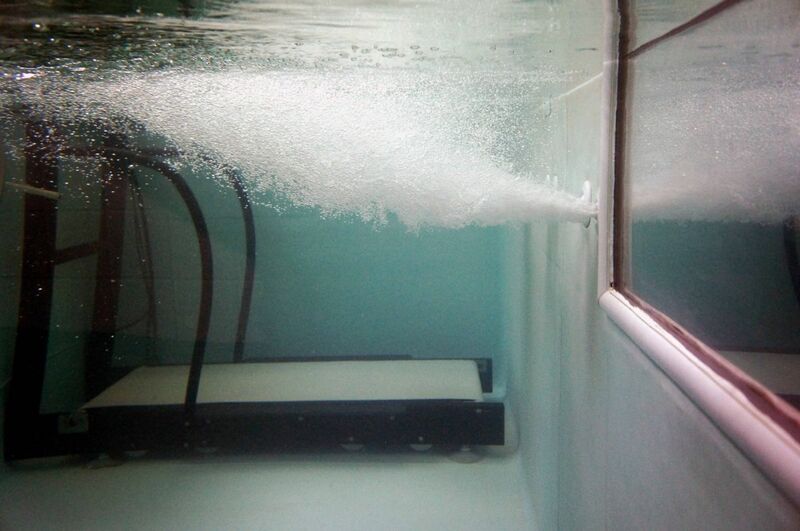 The facility is clean, the equipment is new and the staff is extremely hospitable. My PT is Justin Farnsworth and I can't say enough about his knowledge, professionalism, people skills and the results he has gotten me in such a short time! The Best physical therapy in Rochester! Very good therapists, they know their stuff, and very educated! Michael and his staff does really well. I refer all to go here. I went to other therapies and left because they had unsupervised students working on me and made things worse. Many thanks to Adam Krahmer for his patience, expertise in helping me to deal with my recent ankle fracture. What a professional organization. Great people that are given the highest level of training and education to serve the physical therapy needs. 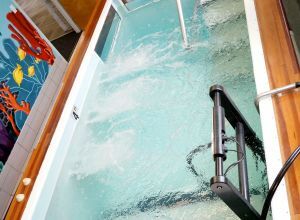 They also have state of the art equipment to put you back on your feet and feeling great. I sustained a serious knee injury and I was in need of good physical therapy in order to return back to my professional career. When I started at Agape I knew I was in the right place. All the therapists are incredibly knowledgeable and kind in their approach, while also giving you the push that is needed to return back to your desired profession or quality of life that you're seeking. The surgery that I underwent was relatively new and very innovative. My physical therapist, Chris Greene, did research to understand that surgery and familiarize himself with the treatment best needed to get me back to my professional career. He has truly gone above and beyond to get me back to where I was prior to my surgeries. All of the physical therapists at Agape are great, but I would strongly recommend working with him! I'm blessed to have found a place that is not only welcoming but encouraging during what can be such a difficult point. Agape Physical Therapy is excellent and I strongly recommend them for any injury or recovery you may be going through. My friend recommended Stephen Fose when I had an ankle hairline fracture and I am so glad I went to see him. He knew exactly how to handle my injury and I only had to go to therapy a couple weeks and was back on my feet. Then I broke my wrist so I was back with Stephen for therapy which took a little longer since it was a break. He worked on twisting, weights and then he would massage my wrist. He would apply heat to loosen up my wrist then apply a cool pack before I left the office. I have to say I am 100% healed after his help! Thank you Stephen and the office staff that work there. Natalia is warm, intelligent, highly competant and a pleasure to work with. I am thrilled to be out of pain, but actually sad not to see her each week. I would highly recommend her to anyone with PT needs. Thank you Agape and Natalie for all that you do help me. I would like to take this opportunity to express my thanks to all of the members at the office in chili. I just completed my therapy as of today,I knew from the day I walked into that office, until the last day that I left,I made the best decision that I could have made. My therapist Adam went above and beyond what I was expecting. Everyone in that office at one time or other, played a part in my rehab. So, at this time I would like to thank everyone for all that you did for me. I am truly grateful. I was recently in a car accident and was referred to agape by my doctor. I have been attending this treatment center for the last several months. In my opinion there is no finer staff you will find. From the moment you walk thru the doors you will find a worm friendly atmosphere. a friendly professional & knowledgeable team of healers who take your care seriously. I have seen each in action and can say with great conviction they are of the highest integrity. If you are reading this and thinking about treatment look no further you will not be disappointed as the staff will make you feel at home and work diligently to resolve your pain and improve your quality of life. I had the pleasure of working with JP in the Gates office. His guidance and leadership helped my healing. He really knows his stuff. I highly recommend him and Mike. Mike is a great leader and I know JP will no doubt be a great leader as well as he gets more confident. The atmosphere there was amazing! They are kind, friendly, encouraging, and you can't help but feel like you're part of a family there. Call them for your therapy needs!! For each time I've had PT the therapist are top notch! They know their stuff & take wonderful care of you. Everyone there is very friendly and compassionate. I've had PT at other places but Agape in Chili is #1 in my book! Always clean and organized when I go in. Great staff and they really know what they are doing! This is my second year of having to go there and I wouldn’t recommend going anywhere else! • Dan’s directions are clear. I almost always know what he wants me to do. When I don’t, he is aware of that and tells me in another way. • Dan explains the impact on my body of what he asks me to do. I don’t remember anyone doing that before. His explanations help me understand what we are doing and that helps me follow his directions. • Dan has a subtle but effective way of correcting me. What seems like an off-hand comment as he walks by reminds me what I should be doing. I don’t feel like I have been told I am doing something wrong. • Dan is concerned that I feel successful. He will modify something he has asked me to do, explaining what to do when I feel I am being pushed too far. That is valuable when I am doing exercises at home. I know how to adjust what I am doing depending on how I feel (see the second bullet). • Nice guy. I enjoy coming in to see him. • Agape. The atmosphere is relaxed but professional. And respectful of the clients. 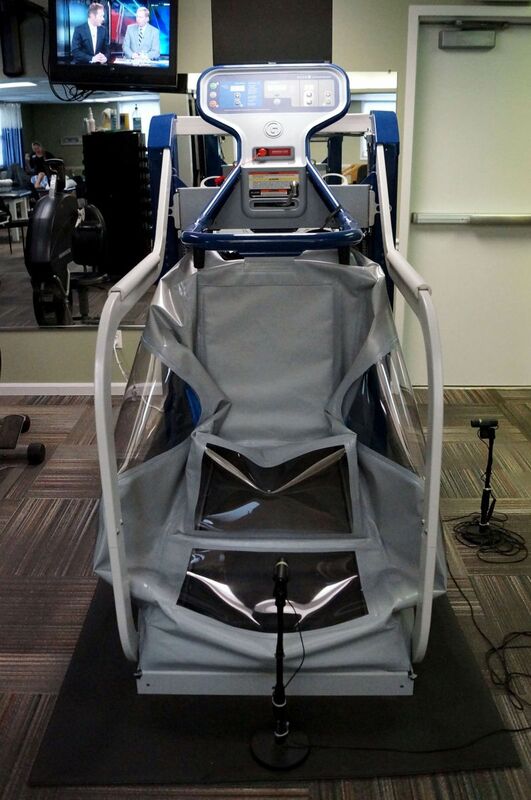 • I enjoy the Virtual Reality Treadmill and will miss the fun when I am discharged. AMAZING therapists who are always doing an excellent job of personalizing their services to make sure you are well taken care of. Catherine goes above and beyond for her patients and I would definitely recommend her! Adam Krahmer is best! This is my second time working with him, when my doctor said I would need physical therapy again I knew just where to go, and requested him- he’s so very helpful, and is always joking & cheering me on, making PT as fun as it can be. I have some other medical issues as well, and he’s always willing to adjust & make things work for me! Everyone here is great! Wouldn't go anywhere else. 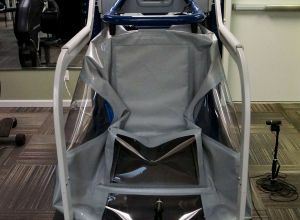 I was thoroughly impressed with the modern, clean, welcoming environment that I experienced while in the clinic, from their anti-gravity treadmill to the multitude of workout machines.. After consulting with therapists about previous injuries, I am much more knowledgeable and confident with treating my injuries. I, without doubt, recommend the therapists at the Chili clinic! Would I recommend Agape Physical Therapy…Mike Hughes? Absolutely. Mike has worked with me three different times now. After the first time (for a knee replacement), I asked for him again and again! For two years in a row now I have been dealing with sciatica, each with a different kind of pain. I just finished the second bout of sciatica which began with severe pain. I’m delighted to report I’m 99% better! It is such a relief! Mike listened to my details and was quick to adapt the workout to my needs. If something wasn’t working, he quickly came up with something different. 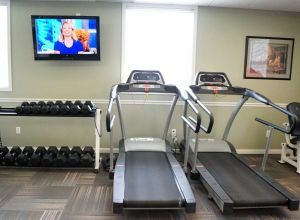 The whole atmosphere at Agape is right on task, even with all the kidding and conversation and that certainly seems to make the workouts a little lighter. And to add to all that, Kira (and the other young women) always greeted me warmly as I sign in. 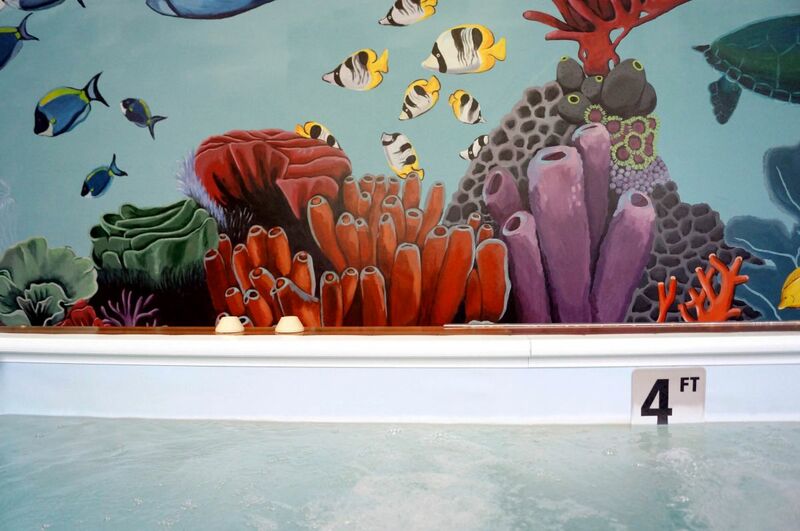 Agape Physical Therapy in Penfield, NY is absolutely amazing! The facilities are brand new and beautiful with an abundance of natural lighting. Natalia PT, DPT is knowledgeable, patient, and empowering. 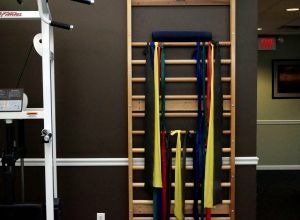 She thoroughly explains why particular exercises are most helpful for my condition and has also gone above-and-beyond to formulate workout routines for me to do at home. I am grateful to have her support and guidance in my postpartum recovery! I genuinely enjoyed going to PT, Natalia is amazing! My results far exceeded expectations. I wouldn't have the range of motion that I have now without Natalia! She also taught me a lot of exercises that I can continue to do at home. I am SO glad that I did my PT at Agape! My experience at Agape physical therapy has been outstanding. After years of dealing with hip, back, and neck pain, I am finally on the road to recovery. Natalia, my PT, has shared her wealth of knowledge and expertise with me and I have been seeing changes for the better. I never thought in a million years that physical therapy could work for me. And, it has! All the staff members I've come in contact with from the beginning have been wonderful, professional and make you feel like you're their number one priority. 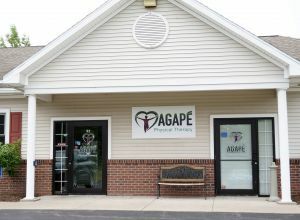 I encourage anyone needing PT to try Agape! It's made a huge difference for me. 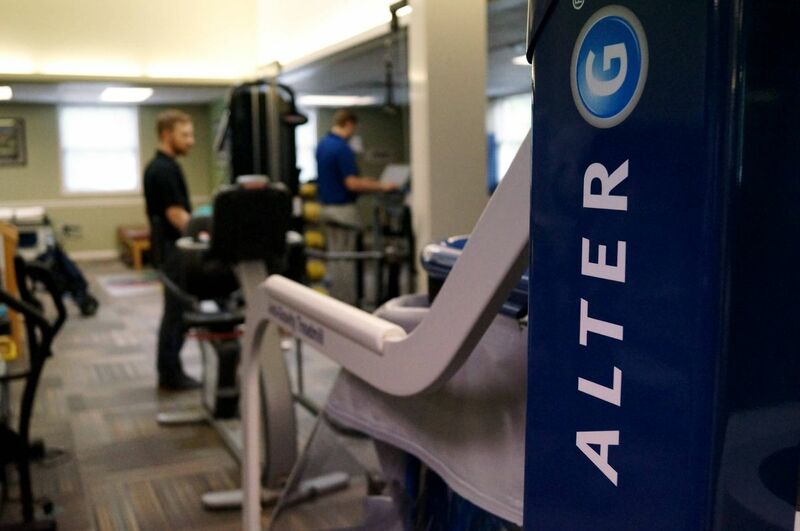 Brand new facility , new equipment, and a very knowledgeable and professional Physical Therapist. I was in a lot of pain and had been receiving PT from another facility (no real results) and switched to Agape due to insurance carrier change. Mike Hughes impressed me from the very 1st day! He was friendly, informative and encouraging. He had me feeling GREAT in a few weeks. Best PT that I've had in 10yrs of PT!!!! I have been dealing with lower back pain and Sciatica off and on for over two years. I have been to the doctor for a prescription and tried a bunch of exercises and stretches, but with only limited success. I was referred to Natalia Farnsworth at the Agape Physical Therapy office in Penfield and I am finally getting some real help. Natalia figured out why I was having this pain and has helped me with a series of new stretches and exercises to help relieve the pain. She provides one on one care and really understands how to get to the root of my problem. I am now getting relief from the pain in my lower back and leg. She's also helping me with understand why the Sciatica flares up and how I can prevent. It sure beats swallowing Advil. Thank you Natalia! My experience so far receiving Physical Therapy services through Agape has been very positive! The staff has been extremely friendly and professional. 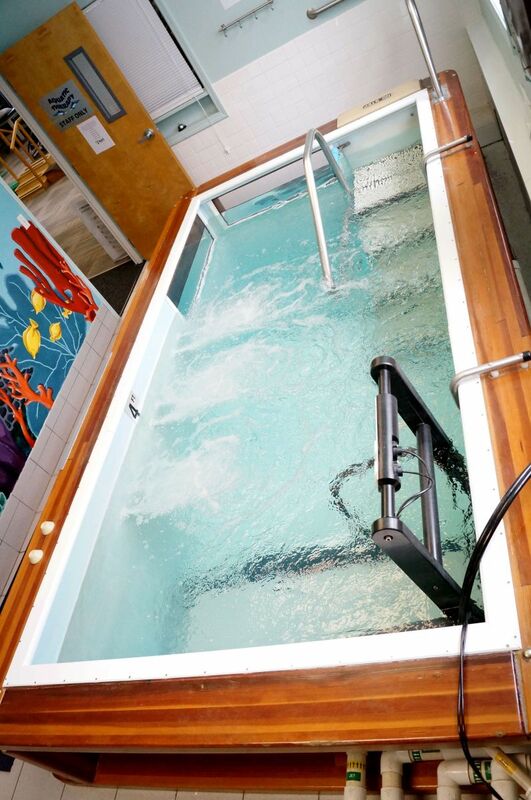 The facility is clean and has an extensive variety of therapeutic equipment. In particular, Natalia Farnsworth , the PT who has been working with me, is highly knowledgeable in her field and is genuinely interested in helping her clients achieve a better state of health and well being. I would highly recommend Agape Physical Therapy services in Penfield! The care that I have received at the Chili office has been exceptional! From the receptionist to my therapists, Adam & Kate, everyone in the office is more than happy to help. Thanks to everyone my recovery is going wonderfully. I've been coming here for the past few months after shoulder surgery and thanks to Brett's knowledge and expertise as a physical therapist I have been making quick and steady improvement. From the moment I was greeted at the front desk by very pleasant Kira, and was introduced to Mike Hughes, PT, DPT, who gave me a tour of the state-of-the-art facility, there was no question where I wanted to rehab from my total knee replacement surgery. Mike developed an exercise routine for me consisting of stretching, balance, soft tissue massage and "cupping." His extensive knowledge and detailed explanation of the areas being treated and why, his professionalism and welcoming demeaner sprinkled with silly humor, made the entire experience a success. The attention from the dedicated staff - Kira, Mike, students Gabbie and Lisa, and Joe with his perpetual smile and encouragement, provide a facility that operates like a well-oiled machine. Their paramount focus is to improve their patient's ability to return to normal after injury or surgery. Mike was responsible for accomplishing that for me. The staff's close-knit relationship and positive attitude is heartwarming. 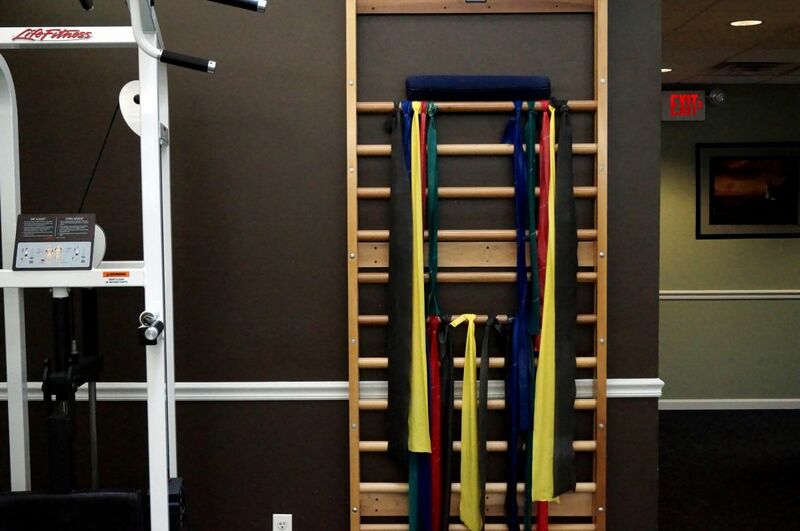 I would not hesitate to recommend Agape Physical Therapy - Gates for all your rehab needs. Steve helped me recover from surgery for a torn ACL. He was great at his work, pushing me to my limits. He knew how to address my key concerns, which allowed me to get my strength and mobility back sooner, I believe! Following my first knee replacement surgery, I had the good fortune to be referred to Agape for extended rehabilitation. Rehab was new to me and I really didn't know what to expect. In the beginning it wasn't easy and I had a hard time believing I would ever be able to walk again without feeling pain. As time went on, I was amazed with the progress I was making and eventually I was walking pain free. After my second knee replacement there was no doubt I was going back to Agape. That's when I was introduced to Steve. He took charge of my rehab and designed a personalized program for me. I was impressed with his knowledge and professionalism and the dedication he applied to his work. We developed a great rapport and I actually looked forward to therapy. After completing the program, Steve put together a routine that I could follow at home. Once again, the results exceeded my expectations and I credit that to Steve and Agape. I was extremely pleased with the treatment I received at the Greece location. Steve and has staff were very professional and helpful during my visits. Before I started therapy I could not stand for more than a few minutes without extreme pain. Stephen was able to get me functioning again. He has equipment to handle any injury. I will definitely return if I need PT again in the future. Being a physical therapist seems as though it comes naturally to Stephen. He excels in his career and truly cares about his patients and their success. I would recommend him to anyone! Keep up the good work! I have been paying the price for years with constant back and neck pain. I finally decided to seek professional help from Stephen Fose at Agape. Hands down one of the best decisions I've made. Even after just a couple sessions I was back to my old thoroughbred form and pain free! Stephen Fose is a high quality character person who wants nothing but the best for his patients. He loves what he does and is dedicated to his profession. If you need physical therapy, schedule an evaluation with Stephen Fose, PT, DPT, CSCS. He is an excellent therapist and I would recommend him to anyone! Steven Fose is very professional and wonderful to work with! I would go back to him at Agape Physical Therapy in Greece for any further physical therapy I may need in the future! Stephen is an absolute magician. I've had ruthless shoulder pain from old sports and lifting injuries for years. Putting ignorant pride away, I decided to try treating the problem as opposed to pushing through. After working with Stephen one on one for 8 weeks, it was as if my shoulder was reborn. He identified the problem, created a plan to fix it and held me accountable as it started to heal. I couldn't have asked for a better experience or results. The office culture is fantastic, equipment is state of the art and well kept, and all patients absolutely love these guys. Look no further, you found your PT! After rotator cuff surgery I went to Agape Physical Therapy for PT. Overall Agape was a great group to work with. Steve Fose took over my case after a few weeks and worked me into a routine that was not only professional and effective, but very enjoyable as well. I know PT being fun right? Steve took the time to get to know me and I never felt like my PT was any less important then any of his other patients. I actually was sorry to say goodbye when things were back to normal. I hope I will never need PT again but if I do I won't hesitate to work with Agape and Steve again. Agape Physical Therapy is a great place where the physical therapists and staff do an amazing job of personalizing their services to meet your needs. They make you feel like your needs are important and assist you with great care. I am always impressed with the level of professionalism from those at the front desk to upper management. Their use of up to date methods of service and technology makes them stand above the rest. I would definitely recommend them for any physical therapy/Health and wellness needs you may have. 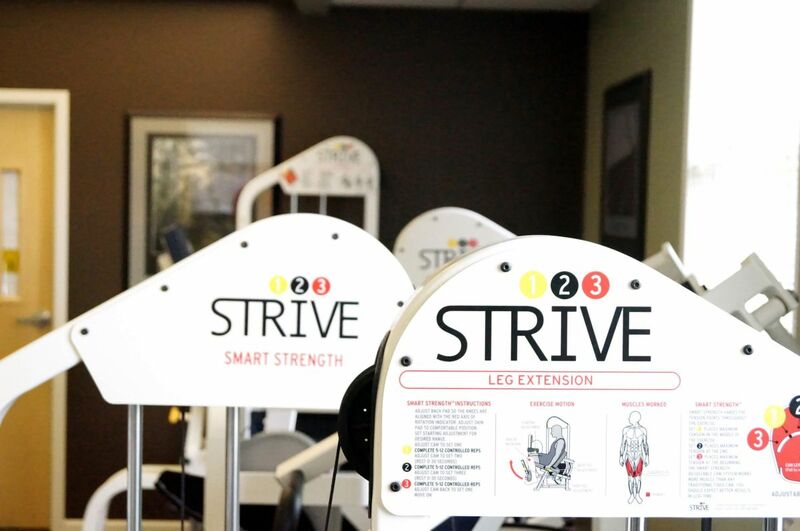 A great place to get you back on your feet. State of the art treatment facilty and a top notch staff welcome you into a professional setting where their goal is to get you better ! The physical therapists are professional, intelligent and very personable. This facilty is a place I recommend to all looking to better their health and improve their lives. Steve Fosse was excellent following my shoulder surgery. Recovery went faster than anticipated and I was able to return to lifting weights sooner than expected. I have come to Steve with multiple issues and you couldn't ask for a more knowledgeable, down to earth and professional person. He couldn't be easier to communicate and work with. I have recommended him to many friends and family. As long as he's here, I won't go anywhere else. Steve, at the Agape Physical Therapy location in Greece, is by far one of the most professional Physical Therapists in the Rochester area. His knowledge of various orthopedic injuries and conditions makes him the ideal Physical Therapist to suit your needs. The care and attention he provides to his patients makes your time during therapy enjoyable, while working towards your goals and recovering from an injury. I received physical therapy in the Gates office from November 2015 through February 2016 following surgery in September 2015 to repair a serious break of my right fibula and severely damaged tendon in my right ankle. I was referred to Agape by my surgeon and Greg VanGorden was my assigned physical therapist. When I started my therapy, I was wheelchair bound and scared to death of falling again during my recovery. I’m in my forties and I had never broken a bone in my life. I was in a lot of pain every day at that point and was terrible at using crutches, likely due in part to my fear of falling again. I’m a very independent person and prior to my first appointment, I had been forbidden to put any weight at all on my leg for seven weeks. It took a lot of work just to get from my bed into the next room and I remained on one floor of my house, aside from going to doctors appointments. From the first that I met with Greg about eight weeks post surgery, he did a great job at putting me at ease, which was truly no small feat. He explained that he was relatively new to Agape at that time, but seemed to conduct his preliminary evaluation thoroughly and efficiently. During each of my subsequent sessions he helped to motivate me and keep me on track, helping me to relax enough to really focus and work on each goal. The routine Greg developed and modified for me during the subsequent 3 months saw me soon walking again, rebuilding strength and confidence in my ability. When I “graduated” from my therapy sessions, he designed a plan for me to follow at home that has really helped me to be about 98 percent restored at this point. The bone has healed well and I’m happy to be able to do all of my normal activities. As my surgeon predicted, my tendon (which had been badly torn) will take about eighteen months to completely heal so I have a little time left to work on that, but it’s all progressing according to plan. I’m very grateful to Greg for all of his hard work, professionalism, patience and compassion during my recovery. He always had a smile on his face and was clearly invested in my progress as well as in the progress of each of his other patients he worked with during my sessions. It takes a special kind of person to be able to help people through necessary pain to regain strength and mobility and I want your management team to know what an asset Greg VanGorden is to your company from a patient’s perspective. I would certainly recommend Agape and Greg to friends and family in need of physical therapy. Sending a thank you to Agape for providing Senior Fitness Classes at the Gates Town Hall – and an even bigger thank you to Jason Wambold who instructs our class this year. He is so knowledgeable and engaging with the group. He challenges us, motivates us, and teaches us about the various moves and how they work our muscles and joints. I have been attending this class for about 8 years now. It has been so beneficial to my well-being, mobility & flexibility – and this is the best yet! Thank you! Over a year and a half ago I suffered a back injury at work. I’ve had tests and seem specialists. I was referred to Agape by my specialist and I have to say sitting down during my first eval, I really felt that the therapist I met truly understood me. Truly felt my pain. Went above and beyond ( in my opinion) to get the correct plan started for me. I went to my first appointment and met another great therapist who really impressed me. I left with hope. For once I’m hopeful that I can feel relief. Looking forward to future visits. Feeling comfortable is so important. Great staff, great place! I put off physical therapy, frankly I did not believe it would help me. I have arthritis in my left shoulder. I finally gave in to trying it but really thought I would end up having surgery. The entire staff at the Webster location was very nice and put my fears to rest. Going through the therapy did hurt, but they were very encouraging, so I continued. They gave me great home therapy stretches to do and I did them. Within six weeks I was able to sleep without pain waking me. I love the staff at the Webster location, all of them. I laughed my way through the pain. Thanks you Webster Agape. I hope I never have to see you again………….Ha! No really you are first on my list if I need your services again and I will recommend you to friends and family. I have been attending physical therapy at the Webster branch after having a total hip replacement. Everyone has been friendly and very knowledgeable. I have been amazed at how quickly I graduated from having to use a cane to walking with no assistance. Besides making you work really hard, we have had a lot of fun as well. I will have the other hip done and will definitely be back. Thanks so much. I went to the Webster location prior to and following a knee surgery in June of 2012. Everyone there was friendly, knowledgeable, and made me feel at home and comfortable right away. I appreciate all their dedication to not only healing patients, but also becoming friends. It did not matter who I had for therapy, I knew the care and attention would be the same. I can honestly say I do not think I would be anywhere near where I am today without their help and compassion. Thank you all very much! Copyright © 2019 Agape Physical Therapy. All Rights Reserved.